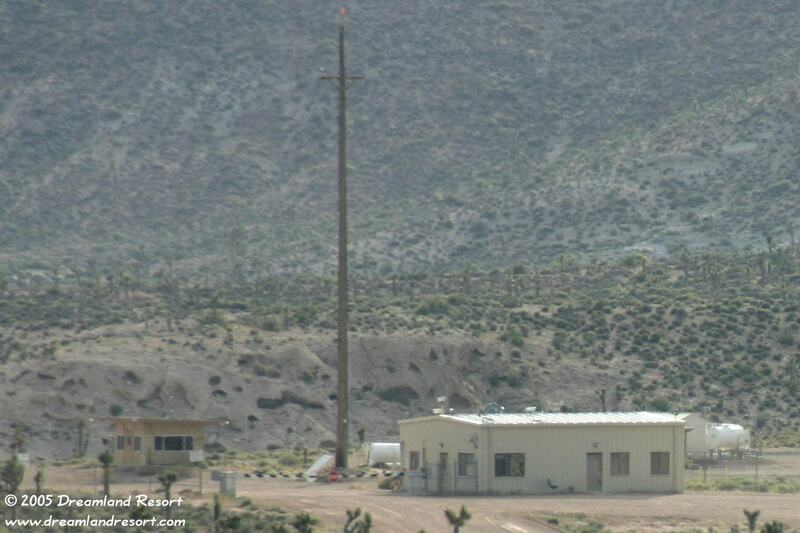 This photo was taken on May 28, 2005 during our Area 51 Anniversary Campout. The large satellite dish next to the old guard shack is gone. Also, some of the antennas on the pole have been removed and the previously blue tank behind the main building is now white. No major changes to the 2002 photo.